Peppermint essential oil is one popular essential oil that has been use for many centuries for various health benefits. Native to Europe, peppermint oil is a hybrid species of spearmint and water mint (Mentha aquatica). The oil is extracted by steam distillation from the fresh aerial parts of the flowering plant. They are rich sources of menthol an organic substance responsible for many of its benefits according to various studies. Peppermint essential oil also occurs as a natural analgesic, anti-fungal, anti-viral and anti-bacteria properties. They are best uses for the treatment of digestive problems (such as Irritable Bowel Syndrome (IBS), heart burn, indigestion and bloating). Peppermint essential oil are also uses to relieves respiratory problems (such as sinusitis, cough, asthma, sore throat, flu and cold,). They are also use as pain reliever, for headache, and for relieving stress and fatigue. One of the potency of peppermint essential oil is that it offers relief for several digestive problems like indigestion, heat burn, irritable bowel syndrome (IBS) like gas, bloating and nauseating conditions. Peppermint oil is good in calming the smooth muscles of the gastrointestinal tract. Studies shows that enrich coated peppermint capsules are effective in treating most problems of IBS like gas, bloating, diarrhea. Also peppermint oil when mixed with caraway oil is a potent treatment for hear burn issues. Try adding 1-2 drops of peppermint to your water drink it after your meal to keep a healthy digestive system. Topical application of peppermint oil is good at relieving pain especially muscle pain, joint pain, backache. Peppermint oil has analgesic and anti-inflammatory properties that penetrate deeper in to the skin when topically applied to ease pain and joint inflammation. It sooths and revitalize the muscles and naturally kill pain. Mix about 13 -15 drops of peppermint oil with 1 ounce of coconut oil and carefully massage in the area of pain to get instant relieve. Pepper essential oil is use as toothache reliever and to relieve pain caused by teething in an infant. The oil contains some antiseptic and analgesic properties which relieves you from the discomfort of toothache and infant teething. Many manufacturer of toothpaste add peppermint as one of the ingredients of their products. To relieve toothache or discomfort that come with infant teething, add about 2-3 to three drop of peppermint oil in cotton bud and dap in the affect area of your toothache or teething. It instantly sooth and relieve you of your pain. Pepper oil like chamomile oil is good at curbing colic among infants, the oil is among the few essential oil that are infant friendly. Take a few drops and mix with carrier oil like coconut oil and apply to chest and stomach area of the baby. Peppermint essential oil is uses to freshen your breath, it has some ant-bacteria properties which helps to eliminate bacteria that cause tooth decay. Some studies have shown that peppermint oil are more active in reducing cavities than some mouthwash chemicals chlorhexidine. You can add about 2 drops of peppermint oil in half glass cup of water and gargle it, or simply add 1 drop of the oil under your tongue allow for some seconds and wash down with a cup of water. Peppermint essential oil is use to relieve various respiratory problems like sinusitis, cough, asthma, bronchitis, cold and sore throat. They act as decongestant and thereby clear the respiratory tract off mucus congestion. Peppermint also reduce cough by clearing the airways and add a boost to your immune system. They are used to make menthol chest rub to relieve your various respiratory issues. Blend peppermint oil, lemon oil with coconut oil as inhaler, rub or diffuse to solve your various respiratory problem. Peppermint oil is uses for various skin problems like eczema, skin rashes, itching to nourish dull skin. It contains menthol that works best at cooling and nourishment of the skin. It anti-inflammatory properties protect the skin against inflammations. Peppermint oil is use as remedy for hair loss, lice prevention, anti-dandruff and for healthy scalp. Simply add about 10-15 drops of peppermint oil in your regular shampoo, dab your hair with warm water before applying the shampoo, wash your hair thoroughly by moving your finger around your scalp, rinse and applied your condition, watch as your hair grows, shines and healthy. Peppermint oil controls excessive secretion of oil in the face, hinders clogging of pores and it anti-bacteria properties eliminates bacteria growth inside the pores thereby controlling outbreak of acne. You can apply peppermint oil directly on the acne by dropping 1 or 2 drops on cotton bud and rub carefully on the affected area. If skin reaction takes place add 2 drops of peppermint oil with 2-4 drops of carrier oil like jojoba oil, or coconut oil and rub on the affected area. For treatment of sunburn or sunburn itching, simply blend some few drops of peppermint oil, lavender oil and coconut oil, rub in the affected area it is capable of healing and gives instant relieves of itching caused by sunburn. Peppermint oil contains some anti-fungi properties which makes it suitable for the treatment of fungus nail infection. To treat nail infection, apply peppermint oil to the affected nail topically, do this consistently for good result. Peppermint oil like many other essential oil is capable of relieving your stress, anxieties, fatigue and depression due to its anti-depressant and energizing properties. It contains menthol, a natural anesthetic that gives cooling sensation, peppermint oil keeps you energized, uplift your alertness and alleviates your feeling of mental fatigue. You can diffuse about 3-4 drops of peppermint oil or add 5-7 drops in to warm water for bath. Feeling lazy and drowsy at work, you can inhale peppermint oil directly from the bottle or rub a drop under your nose behind your neck or your temple to get quick pick-me-up. Peppermint oil is use to relax stomach muscles and help in the digestion of fats. It helps to cure stomach upset, reduce spasms and inflammation in the stomach and digestive lining. In a 2012 study at Molloy College in New York which observed the effects of aromatherapy on the severity of postoperative nausea in women undergoing surgical procedures in the post-anesthesia care unit. It is observed that after inhaling peppermint oil or vapor, there was improvement in nausea condition of women who complain of postoperative nausea. More studies are required to determine the accuracy of this aromatherapy. To cure your nausea, rub 1-2 drops on your temple, behind your neck or bottoms of your feet. You can also inhale directly from the bottle or add about 5-8 drops in to your warm bath water. Peppermint oil has anti-inflammatory, analgesic and antiseptic properties it is used to treat itching caused by poison ivy, poison sumac or itching caused by dermatitis, scabies and stress. Peppermint oil when applied, soothes skin irritation and rashes. Mix peppermint oil with essential oil carrier like coconut or jojoba oil and apply topically on the skin. Peppermint is a great energizer, when you are tired and down or when you feel drowsiness at work, try inhaling peppermint oil to pick up your energy. Also you can add about 5-6 drops of peppermint oil to your bath water in the morning to revitalize your body. Another way you can use peppermint oil to boost your energy is to dilute 2 drops of peppermint oil with 2 drops of coconut oil at the back of your neck or on your temple. Peppermint is anti-inflammatory, anti-viral, anti-bacteria and anti-fungi. It forms a resistance against these dangerous diseases and it is easy to use with less side effects. A great way to alleviate your feverish condition is to simply apply 2-3 drops of peppermint oil mix with 2 drops of coconut oil on the bottom of feet, or behind your neck. It helps to regulate your temperature and relieves fever. Peppermint oil contains menthol which makes it suitable remedy for flu and cold. When inhaled through steam inhalation or directly from the bottle it is capable of clearing congestion or blocked airways and normalize your body temperature during the time of flu and cold. Simply add 2-3 drops of peppermint oil and 2 drops of eucalyptus oil to hot water, cover your head and lowered to about 60cm away from the water, inhale the steam for about three minute. You can also diffuse your peppermint oil for overall benefits. Though still lacking any scientific proved at present, many traditional healers uses peppermint oil to cure urinary tract infection. Peppermint oil is use to improve blood flow, one study indicates that peppermint oil aids blood flow by stimulating the nerves of the olfactory organ. It increases the pulse rate and increase the flow of oxygenated blood to all vital body organs. When blood is poorly circulated in our system, it results in several health challenges such as headache, indigestion, loss of mental concentration, loss of appetite, chest pain, erectile dysfunction and so on. It is therefore very important that you keep your blood circulation level balance to maintain healthy organs. Diffuse your peppermint oil in your home, or add about 5-7 drops to your bathwater, or dilute about 4-5 drops with any of your favorite essential oil carrier and apply below your abdomen, on your temples, behind your neck to get the maximum benefits. 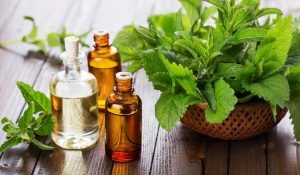 Peppermint oil not is beneficial for our health but also, keeps unwanted insect like cockroaches, mosquitos, bug ant away from our home. When diffused, the scent of peppermint oil is offensive to the olfactory nerves of these insect. You can also mix several drops of peppermint oil in water and sprinkled at the corners of your home to keep ant and bug away. At living, your health is more paramount to us, do you realize that most of the air fresheners your use at home contain some toxic chemicals? 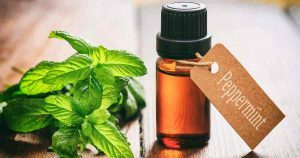 When you use peppermint oil or any other essential oil as home fresheners, you do not just create a fresh aroma around your home but also get the health benefits that it brings to your body. 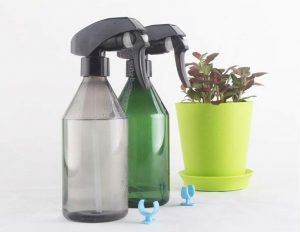 It is easy to make your own home spray with peppermint oil to mist your home and freshen the air. Fill a spray bottle with one cup of water and 6-10 drops of peppermint, eucalyptus and sandalwood to make a good blend of flagrance. Peppermint oil is safe when use internally or externally as long as it is not abused or used in excess. It may cause some reaction to some people such as heartburn, constipation, mouth sore and headache. To avoid such problems, ensure that when ingesting peppermint oil, you dilute it with your favorite essential oil carrier like coconut oil, jojoba oil or olive oil in their purest form. Peppermint oil may interact with some prescription and over-the-counter medications. Enteric-coated peppermint oil capsule may increase the rate of dissolving when taking at the same period with some prescription or over-the-counter medication, which may result to heartburn. It is advised that you give a gap of at least two to three hours before or after taking any medication when you want to take some enteric-coated peppermint oil supplements. Before using pepper oil, pregnant women or nursing mother and on children, seek the advice of a medical practitioners.